The club was the first of its kind to cater for the classic Mini in South Wales. Membership grew rapidly to 120 Mini owners, who enjoyed a variety of activities including a monthly meeting, club magazine, quizzes, Mini runs, treasure hunts and show stands. 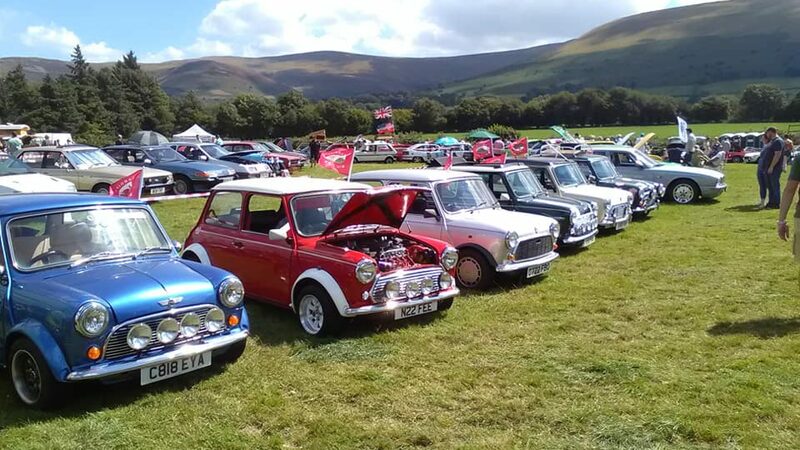 Richard owned several Minis and ran the club until 2000, but after 5 years at the helm, Richard left the club to organise the first ever South Wales Mini Festival at Margam Park, as well as the Mini Spares Register. Sadly, Richard passed away at the age of 60 on 3 September 2013 after a short battle with cancer. He is survived by his wife Jackie and two sons Lewis and Luke. He will be greatly missed by his family & many friends and his memory lives on in the club he created back in 1995. The current Cardiff MINI Club is based in Cardiff South Wales, where they attend most of the national MINI shows and local classic car shows. The club holds an annual ‘MINI in the Bay’ event, as well as other smaller events, MINI cruises, quizzes and socials. All MINIs are welcome and the club prides itself on being a welcoming, family friendly club!